Despite being the majority in Ethiopia, the Oromo people have been marginalized by the successive Ethiopian governments. Unimaginable atrocities have been committed against the Oromo during the campaign to create the Ethiopian empire and afterwards to upkeep it. In the process, the Oromo were reduced to third class citizenship status on their own land. Our people have been expressing their grievances at different times but the response from the ruling Ethiopian authorities have always been to violently suppress their demand. 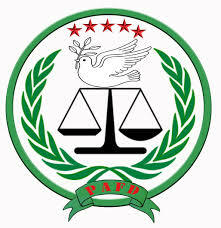 When the current TPLF/EPDRF government came into power, the OLF participated in the transitional government hoping that it will end the cycles of oppressions and subjugations for all peoples in Ethiopia. Within a short period of time, however, it became apparent that the objective of the TPLF was not to create a democratic and all-inclusive system of government but to camouflage itself with a façade of democracy and create a government that serves a minority. Hoping against all odds that the TPLF will listen to their grievances, the Oromo people continued raising their concerns peacefully at different times over the last 25 years. In the process, tens of thousands of Oromo students, farmers, professionals, and business owners have been killed, jailed, tortured, and disappeared. In the name of economic development, hundreds of thousands of Oromo families have been forcefully displaced from their ancestral lands with no, or very little, compensation. These unconstitutional displacements did not only make the families poor and destitute but negatively impacted their culture, language, identity, and general wellbeing. Despite continued protests by Oromo students, farmers, and the general public against displacements of Oromo families, the TPLF/EPRDF government came up with the Addis Ababa Master Plan without any consultation with the stakeholders. The plan expands Addis Ababa’s border to 50-times of its current size, potentially displacing millions of Oromo people from their farmland. Historical marginalization coupled with TPLF’s illegal policy of displacements intensified the November 2015 Oromo popular protest. Instead of listening to the people and addressing their demands, the TPLF resorted to its violent rhetoric by killing over 800 people most documented by several human rights organizations. These killings, however, did not deter the heroic Oromo people from continuing their struggle for their just cause. The protest expanded to all regions of Oromia and other regional states throughout Ethiopia, including the Amhara region. Frustrated by the unity of the oppressed peoples of Ethiopia, TPLF resorted to more killing in all regions. Over a thousand people have been killed in Oromia, Amhara, Gambella, and Southern regional states since July 2016. TPLF’s heinous crimes against the Oromo escalated to the highest level on October 2, 2016 when their army, accompanied by helicopters gunship, massacred over 678 people who came out to celebrate the Irrechaa, an Oromo thanksgiving festival. Angered by such atrocities, the Oromo people from every corners of Oromia and other regions of Ethiopia continued their peaceful demonstrations and took some actions against the TPLF in self-defense. The TPLF government has done everything in its power, including the creation of conflicts between different ethnic and religious groups within Ethiopia, to quell these protests. When its divide and-rule policy failed, the TPLF regime declared a state of emergency on October 9, 2016. It is to be remembered that Oromia is already under martial law since December 2016 and the state of emergency is not going to change the dynamics on the ground. This declaration is nothing but a license for the military to continue killing more people and reestablish the superiority of the minority Tigrean elites. It is a mockery that the declaration states “the state of emergency will not breach basic human rights enshrined under the Ethiopian constitution” while in fact the TPLF has been violating the basic human rights of the Ethiopian peoples for the last 25 years. The Ethiopian peoples in general, and the Oromo people in particular, know well that the TPLF/EPRDF regime does not respect human rights and have demanded a fundamental change. 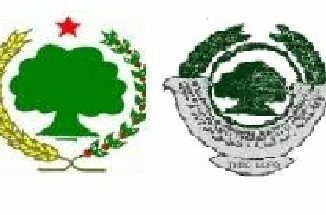 The system is rotten and reshuffling political leadership within TPLF/EPRDF does not address the deep rooted causes of the problem. Instead of invoking articles that suites its cause from the constitution, TPLF needs to respect the constitution and abide by its rules. Contrary to TPLF’s assertion that these protests are supported by external governments or groups, Oromo people’s struggle for freedom and justice is self-reliant for the last decades. It is TPLF’s character to use a neighboring state or group as a scapegoat every time people ask legitimate questions and it is not different this time. Unfortunately for the TPLF, the Ethiopian peoples have known their lies for the last quarter of a century and will never give them the legitimacy that they are seeking by pointing fingers to foreign elements. 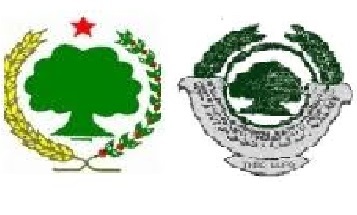 The OLF strongly believes that the only choice that is left for the TPLF at this juncture is to relinquish the power and be accountable for crimes they have committed against the Oromo and other peoples in Ethiopia. 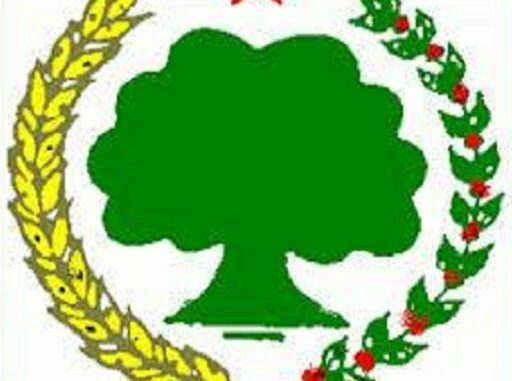 The OLF has an obligation and responsibility to defend the Oromo people from TPLF’s killing machinery by any means necessary. The OLF would like to use this opportunity to once again call upon the Oromo people not to be distracted by the declared state of emergency and redouble their struggle to remove this terrorist government once and for all. We would also like to call upon the oppressed nations and nationalities in Ethiopia to ignore the divide-and-rule tactics of the TPLF and stand with the Oromo people to free yourselves from the yoke of oppression. We remind again the Ethiopian Peoples that this is not only Oromo People’s problem; it is a serious concern to all and we have to stand together to solve it once and for all by removing this fascist regime. Finally, we call upon the international community and all peace loving people around the world to make note of the impending crises in Ethiopia and hold the terrorist government in Ethiopia accountable for crimes it has committed and is about to commit. The declared state of emergency is sure to cause more deaths and destructions and it is only the TPLF/EPRDF government that is responsible. Victory to the Oromo people! The Intimidation and Imprisonment of the OLF officials and its members by the Ethiopian government must stop immediately! 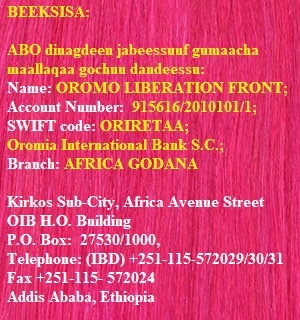 Mrs Berhane Mamo’s Execution Is another Abhorring Crime yet the EPRDF’s Government Commits on Oromo Civilians.